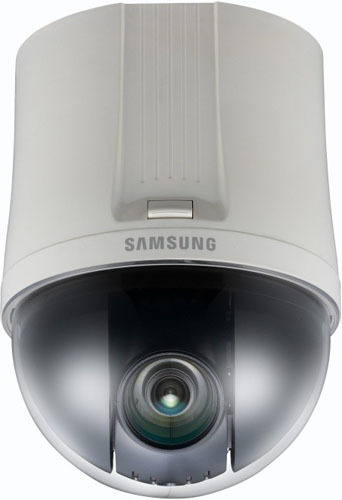 The Samsung SNP-5200 is a low profile ONVIF compliant, 1.3 Megapixel indoor PTZ camera that incorporates DSP chipset. 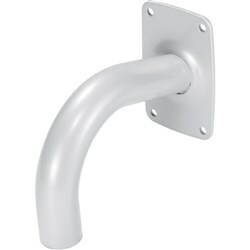 It is capable of displaying multiple resolutions from CIF (320 x 240) through 16:9 format 720p HD. It provides up to 10 video streams and video analytics that can be powered via PoE or 12 VDC. A minimum illumination of 0.7Lux (Colour) and 0.08Lux (B/W) makes the camera suitable for nighttime surveillance. It features Samsung Super Dynamic Range that balances the overall brightness by illuminating the darker areas to the same ratio as the bright areas. The Samsung SNP-5200 has many exciting features for users of all types. 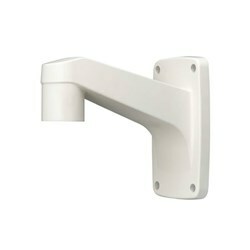 FactoryOutletStore stocks a full line of accessories like Wall Mount Bracket for the Samsung SNP-5200. The Samsung SNP-5200 is sold as a Brand New Unopened Item.